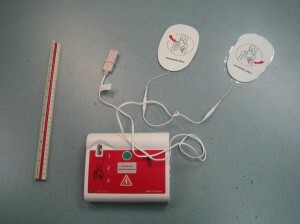 First Aid Training in Surrey Includes CPR level “A”, “C” or “HCP” training. The leader in occupational, standard, childcare and emergency first aid training in Surrey is Vancouver First Aid Ltd. This training provider has a number of training facilities throughout the Lower Mainland with offices located in Surrey Newton and Whalley business districts. This training providers offers a wide range of services including consulting for workplace emergency response plans and training, first aid supplies and kits, and WorkSafe BC approved training. 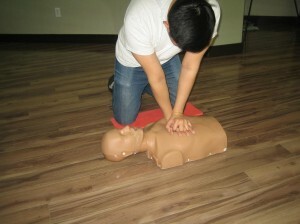 Stand-alone CPR training is also available for participants requiring not first aid certification. Participants enrolled in these courses will receive certification that is valid for three years and obtain training in the use of Automated External Defibrillators (AED). To register for a course in Surrey use the contact information and location details provided below. How to Contact This Lower Mainland Provider? More location and registration information is available on the Vancouver First Aid website. Ankle injuries are typically treated with rest and immobilization. Learn to manage sprains and strains in a standard first aid course in Surrey. The standard first aid training program runs for two days, 14-16 hours long in total. The program is taught by a workplace approved First Aid instructor or Instructor Trainer. The program is usually taken by people who need first aid and CPR training for work or people who just want to be able to manage minor home emergencies. This program is able to meet provincial and territorial regulations for Standard First Aid and CPR . The course curriculum covers an array of topics like cardiopulmonary resuscitation, automated external defibrillation, the EMS system, and basic first aid skills like wound care and medication administration. Stand-alone CPR programs are also available. There are three levels, four to six hours long. The cost of this course is 130 dollars and 135 dollars for individuals that want to include CPR level “HCP” in the program. This is a basic one day course that is popular amongst fitness workers, community centre employees, adult teachers and restaurant employees. CPR level “A” comes standard with this course, however, participants may partner the course with CPR level “C” and “HCP”. The cost of this course is 75 dollars and 80 dollars for individuals that want to include CPR level “C” with this course. Upon completion of program requirements, students are awarded a workplace / academic approved certificate card. The card is only valid for three years. Before the certification expires, the student has to take a recertification program to revalidate the card for another three years. Recertification for first aid programs is held twice a week, 6-8 hours long. Requirements for passing a program include: 100% attendance, 75% or better in the written exam, and good demonstration of first aid skills. These and many other programs are available with this popular Surrey provider. Enrolment is very easy. There are different ways you can use: the internet, telephone calls, or in person. E-mails and the online application form are the most commonly used methods, with final payments and signatures made in person before training starts. However, if you plan on enrolling in person or calling, be sure to do so during business hours. All e-mails and forms will also be processed during that time period. Biological therapy can be used to fight bladder cancer. This procedure stimulates the body’s immune system to try and fight off cancer cells. The therapy is passed through the urethra and directly in the body. It can use an immune-stimulating bacterium or an immune system protein. The bacterium irritates the bladder and can cause blood in the urine. The protein is a synthetic version of a protein produced by the body – interferon.